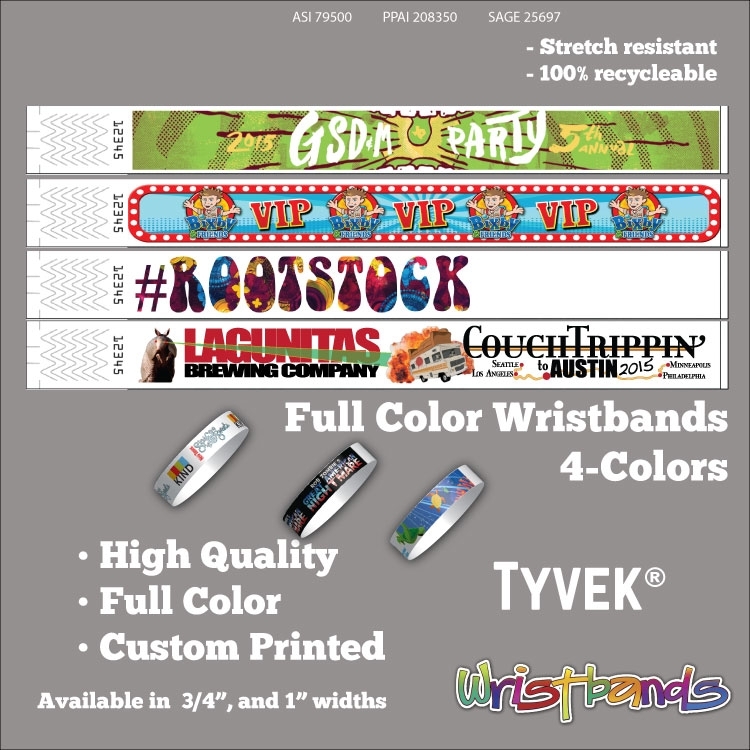 These are tough, waterproof, non-tear, non-stretch wristbands that are available in a variety of patterns and colors, with over 300 choices. All wristbands are consecutively numbered. They come with a very strong adhesive and have tamperproof slits making them impossible to remove in one piece for transferring to another person. These tyvek wristbands are 10 inches long and 3/4 inch wide. Custom printing is available with a printing plate charge. Large quantities are custom printed for FREE.